It’s an Election Year – Is Your Association Prepared? – IntrinXec Management, Inc.
It’s an Election Year – Is Your Association Prepared? As if we aren’t sick of politics already, here’s another angle to consider: Historically, the economy takes a dive during the inaugural year of a presidency. Look back at even the past three presidential inaugural years and you will see the U.S. economy experienced some level of a recession during those years (1993, 2001, 2009). Couple that with the fact that economists have been forecasting for years that we will experience a recession in 2017 – which is of course, an inaugural year for the next president of the United States. So, what does that mean for your organization? Associations tend to experience economic impacts about 12-18 months later than the corporate world. Why does such a lag exist? This is in large part because companies set their budgets a year in advance; so when the economy dips, budgets get squeezed the following year. What’s typically the first thing to go? Marketing dollars. And marketing dollars are a large part of the dollars spent for Associations – membership, sponsorship, exhibiting, and advertising. A typical cycle might look something like this: A company’s 2017 budget will be set and approved before the close of 2016. Marketing dollars will have been budgeted, and commitments will be made to Associations for 2017. Then the economy takes a dip – but the companies have already committed the dollars. As planning for 2018 begins, companies pull back, and now Associations see the economic hit affect them the next year. Is your Association prepared to handle that possible cut in 18 months? Are there steps you can take now to diversify revenue streams? Are you crystal clear on your value proposition to sponsors, exhibitors, members, and other stakeholders? Offer multi-year memberships that can be paid up front. Your Association can defer the revenue and accrue it annually to keep your financial position stable, and you will maintain your membership throughout a downturn. Offer incentives for members to sign up for your annual conference in advance. At the close of this year’s event offer a discount for signing up for next year on site. Offer payment plans to help with cash flow. This is often a great member retention tool as well. Offer sponsors a discount for paying for a two-year commitment in advance. You will have the cash up front and will be able to budget for the years ahead accordingly. There are many creative ideas that can be implemented during economic downturns – the key is getting ahead of the curve – rather than reacting when it hits. No one has a crystal ball, but taking time this year to develop creative revenue ideas will benefit your organization regardless, and your members will value your efforts. Jaime Nolan, CAE, CGT is founder and CEO of IntrinXec Management Inc., a leading association management company headquartered in Minneapolis, Minn., with a second office in Tallahassee, Fla. As the visionary for the company, Jaime provides oversight to all client teams to ensure the company is continuously on the leading edge of association trends, bringing that vision to our clients. Jaime and her team work with dozens of associations on strategic planning, board governance, leadership training, and organizational culture. 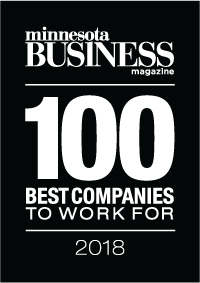 Established in 2004, IntrinXec has been named one of Minnesota’s Top 100 Best Places to Work for four years in a row (2013,2014,2015, and 2016).